A big thank you to all the local community for turning out to participate in our Geelong Better Block event on Saturday. There was a great community vibe and loads of free things to do and learn. 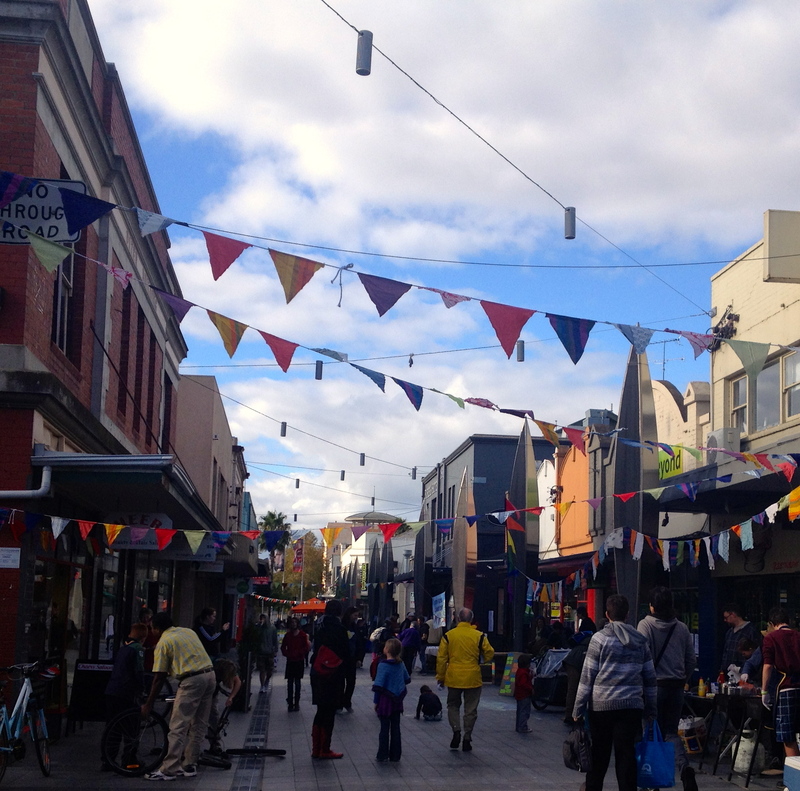 Tell us what you thought of the community led street activation in central Geelong last Saturday, and take our survey. The recycled street furniture and bicycle racks were a big hit with the silent auction continuing this week at GTEC. Get in quick to purchase your piece of recycled furniture. Thank you to all the street performers and workshop people for coming along to share their skills with others, and especially to the more than 80 volunteers who assisted with the set up and pack up of the event. We look forward to the next great Geelong community event. Don’t forget the Geelong Sustainbiltiy Drinks held the last Wednesday of the month 5.30pm at Beav’s Bar, the next one will be on 26th June.